Life as parents with young children is wonderful. Seeing your children grow, discover and learn is an enrichment for every parent. But there are also times when it can be “hectic”, especially with young children. And every parent can always use some help. Homey can be used as a helpful family member to make everyday life easier for a parent with young children. First time parents are riding a pink cloud. At least, that’s how it’s often talked about. Because with such a small, innocent baby, doesn’t life always look sweet? From my own experience I know that the reality is different. Of course the parents are overjoyed, but that does not mean that they have it easy. Forget riding a pink cloud: dirty diapers and sleep deprivation! Homey can help you get a grip on your night’s rest. 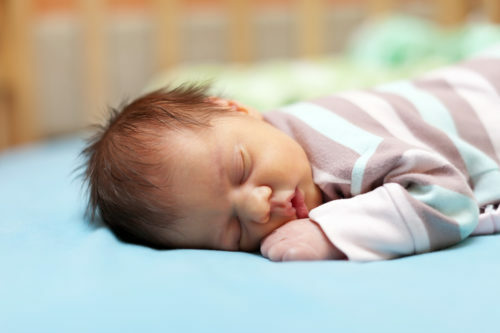 To help your baby fall asleep at night, a soothing lullaby is very welcome. However, it is not desirable to play lullabies all night. Even when your baby has woken up and starts to cry, it is too late to let the little bun, without the pampering of daddy or mommy, fall asleep again. Homey helps by controlling your music system to play a soothing lullaby, which you have pre set in your playlist, and bring your baby back to dreamland. This can also be automated via Homey Flow using a motion sensor as a trigger. The sensor can be adjusted in sensitivity so that a lullaby starts playing at the right moment. Your baby, but also you and your partner, can continue to sleep peacefully in this way. When your child enters the toddler phase, he or she will become much more mobile and also naughtier. This is a wonderful time for parents in which they get more interaction with their child, but also less control. Your child goes from always safely in your arms to crawling and walking independently. During the day you have the opportunity to help your toddler but also to protect him or her (for potentially dangerous situations). When your child goes to sleep, this becomes more difficult because you can’t keep an eye on your child all night. Let Homey keep an eye on things! When you put your child to bed it does not always mean that he or she will also go to sleep (immediately). So it can happen that your toddler goes on a exploring trip. And if you are enjoying a drink with your partner downstairs in the living room or have already gone to sleep, it is difficult to keep an eye on this. Place a door sensor on the bedroom door of your child and receive an (spoken) notification via Homey or a push notification on your smartphone.Very useful if you are still in the living room. Additionally, you can use the same sensor to light or blink a bedroom lamp when you are already in bed by connecting a smart light or a smart plug. This will wake you up when your child leaves his or her room in the middle of the night. This way Homey helps you to keep an eye on your child during bedtime. In the example above Homey helps by means of a signal so that you know when something is going on. But it is better to prevent than to have to correct an action. You can agree with your child that he or she can’t leave the bedroom in the morning before a certain time. Homey can help with this via visual enhancement. Connect a smart light in your child’s bedroom. With this you can then set a Flow that this light will burn red. You then easily set a time when the light comes on green and therefore gives a visual signal that your child can for example come to your bedroom. This way you stimulate your child not to walk around the house too early, while you are still sleeping. Homey can help in a family with (young) children to monitor and stimulate. So that you as a parent have more time to enjoy the fun moments with your children. Get inspired in our Talks with Homey Store and discover which devices can help you.